Today we begin a new series at FootyFair and we call this one Football Origins. 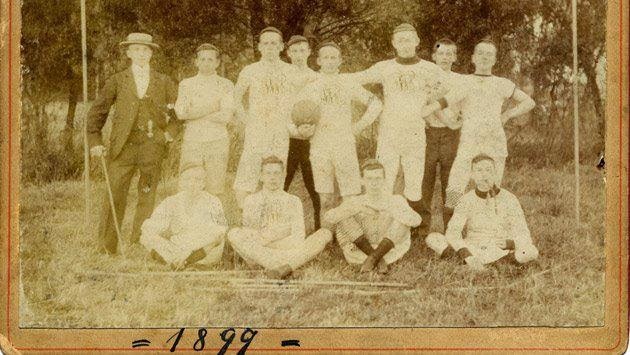 This will be an opportunity to go back in time and take a look at the beginnings of football, not necessarily something old, but a start of something related to the game nonetheless. We start off with the year 1899 and the five big clubs that were formed less than 12 months before the turn of the 20th century. Founded on February 4th as Fußballverein Werder, this popular German club was launched by a group of high school students who won a package of sports equipment and decided it would be a good idea to create a football club. Over a century later and SV Werder Bremen has enjoyed 11 seasons as the top two in the German Bundesliga including 4 league titles. Also, the club has won the German cup on multiple occasions as well as the UEFA Cup Winners' Cup tournament in 1992. 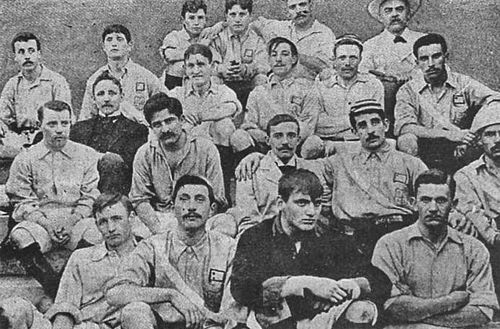 A merger between two clubs in Uruguay's capital Montevideo on the 14th of May 1899, saw the creation of one of South America's biggest and most successful clubs. Combining the existing Montevideo Football Club and Uruguay Athletic gave birth to a club that is now referred to simply as Nacional; one of Uruguay's two most followed and rivaled sides. Since its formations, the club has gone on to win the Uruguayan league title a whopping 45 times and has even managed 3 Copa Libertadores titles, a competition that is dominated in most years by clubs from Brazil and Argentina. The club's colors (blue, white and red) were decided upon as tribute to national hero José Gervasio Artigas who was associated with this combination. 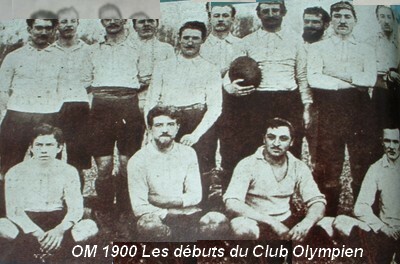 Originally launched in 1982, France's most successful football club to-date Olympique de Marseille would be renamed to its current form on August 31st, 1899, to honor the city's Greek founders. 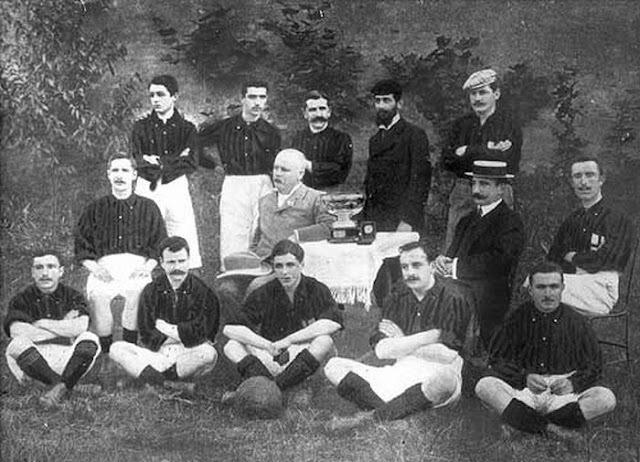 French sports official René Dufaure de Montmirail was the founder of the multi-sport club, but despite rugby being the most popular sport in the organization's early existence, football would go on to dominate European sports and the French club's presence as well. Currently, Marseille holds the record for most domestic cup wins, just one league title less than French record holders Saint-Étienne and are still the only French club to have ever won the UEFA Champions League. 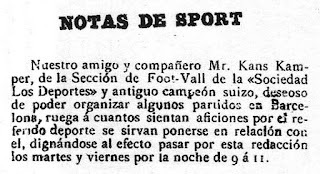 On October 22, 1899, a Swiss football pioneer by the name of Joan Gamper launched an ad in a paper called Los Deportes, expressing his interest in starting a football team in Barcelona. On November 29 11 players who showed interest in the advertised message met at the Gimnasio Solé and one of the world's most successful clubs was born under its original name; Foot-Ball Club Barcelona. Eleven years later one of the club's players Carlos Comamala won a contest in which he had designed what is the most similar look to the club's current crest, consisting of the St. George Cross and the Catalan flag. 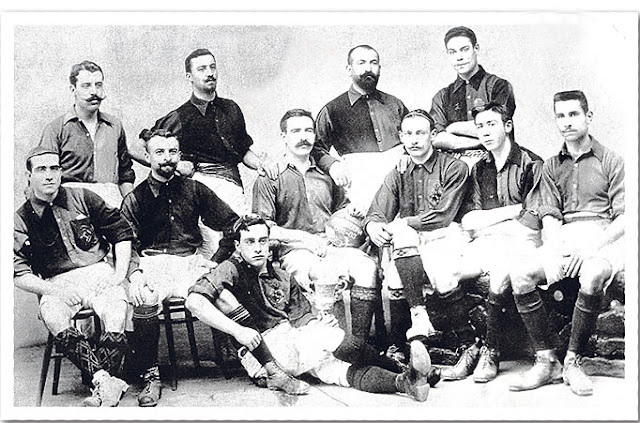 One of Italy's most storied clubs, AC Milan was founded just 18 days before the turn of the 20th century, when a club known then as Milan Cricket and Foot-Ball Club was formed on December 13, 1899, by English expats Alfred Edwards and Herbert Kilpin from Nottingham. To this day, the city's English spelling "Milan" instead of its Italian name Milano is associated with the club and the St. George Cross is still present in the club's crest. 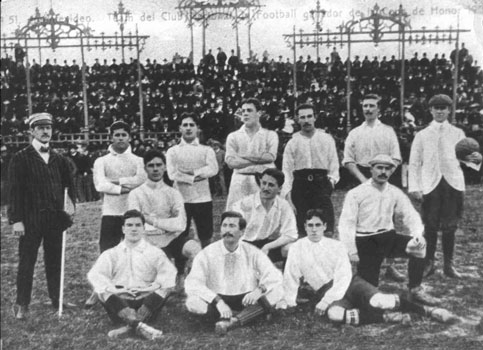 Two years after its formation the club had won their first Italian league title; one of its 18 to date, coming second only to Italy's most successful club Juventus.